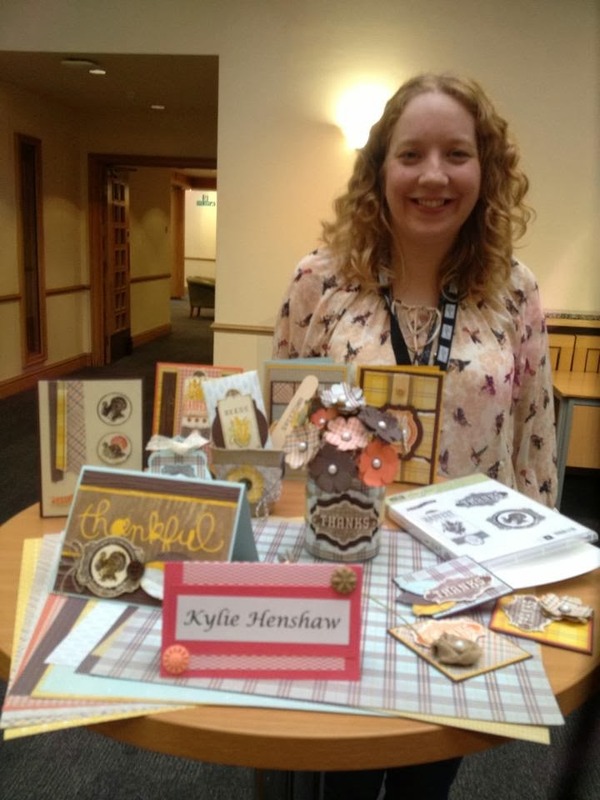 A couple of months ago I was really flattered to be asked to join Stampin' Up!s design team for their Creative Tour events in September. They phoned and asked me if I would create a small display using some products from the new Autumn/Winter catalogue - which they would send to me. I waited eagerly for my parcel to arrive, looking forward to seeing what I had been given to work with! When the items arrived I was surprised to find it was a Thanksgiving stamp set (Harvest of Thanks) and some lovely autumnal designer papers (Sweater Weather), I had imagined it would be something christmassy, but I set to work thinking of lots of things I could make for my display. I fell in love with the papers straight away, and knew I wanted to use these to create a whole bunch of flowers with the pansy punch. The stamps were a bit more of a challenge - I've never made anything with a Thanksgiving theme before! I started off small - making three note cards. Then the ideas started to flow and I had fun designing cards and 3D projects that used coordinating products and different textures. Some ideas and techniques I tried for the first time here. The paper feathers I had seen on pinterest and were really easy to make. I also heat embossed over the woodgrain embossed card in gold embossing powder which really highlights the raised pattern. The vintage-style turkey looks great in full colour! I coloured the stamp using markers. I decided to do a seed packet gift set using the Harvest of Blessings stamp. I replaced the wording on the stamp with 'SEEDS' using the simple type alphabet stamps. I made a matching label stick too. The packet for the seeds was based on a template I found online. There are actually real sweetcorn seeds inside! And this is me with my display at the Leeds event! I think it surprised a lot of my Stampin' Up! friends who came to the event to see my name on there - because I'd had to keep it a secret! 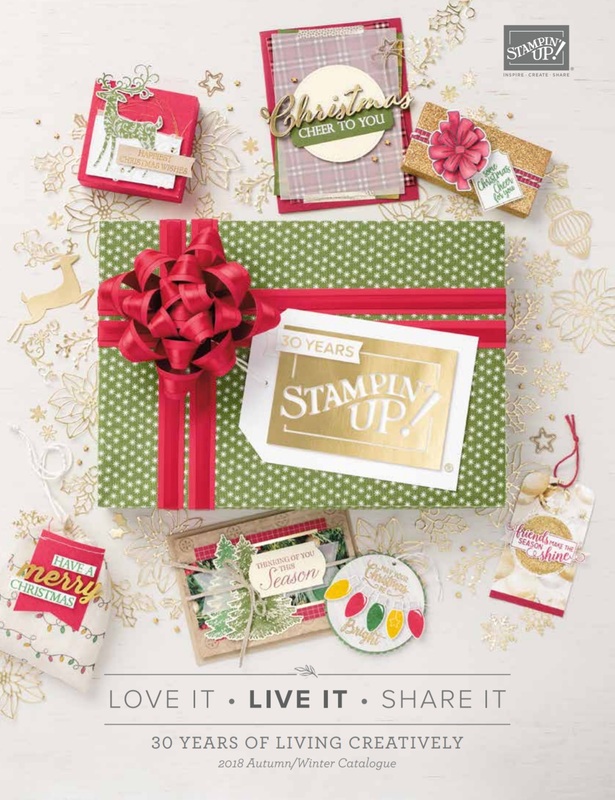 I got lots of lovely comments and Paula and Kelly from the Stampin' Up! UK office thanked me with a gift of a stamp and simply created kit. My display, along with the other displays, travelled with Stampin' Up! on their tour of six locations - hopefully inspiring demonstrators across the country. Hope you are a bit inspired yourself, it's great to challenge yourself sometimes and do something a little bit out of your comfort zone. Well done keeping your work secret from all your fellow demos! Sneaky thing!